Steve’s breakdown: As we always say, find a CMO, find a client. This time it’s American National University and they love spot TV for some reason. If that’s your jam, get on the horn and fill this seat up. ROANOKE, VA: American National University, a 130-year-old career training institution, is seeking a chief marketing officer to oversee all aspects of the University’s external and internal marketing and communications activities. This position is expected to be located in the beautiful western part of the state of Virginia within the communities located in the Roanoke Valley of Virginia. The position is full-time with appropriate compensation based upon the experience, education, background, and history of the individual selected. American National University, founded in 1886, serves a worldwide population through its campus, video conference, and online modes of delivery of programs from the certificate to the master’s level in healthcare, IT, and business disciplines. Through an affiliated institution, masters and doctoral level programs in cyber security are offered. The institution operates 20 small campus locations in six mid-south states as well as a developing presence, on ground and online, in several other countries. 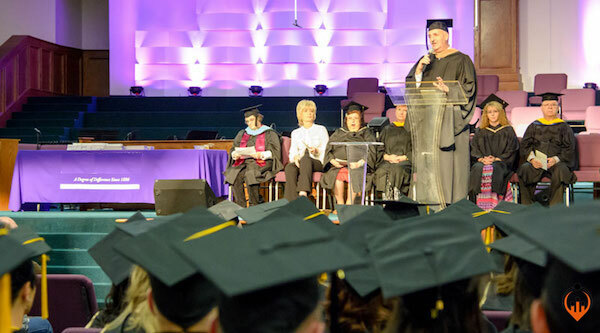 The institution is nationally accredited by the Association of Independent Colleges and Schools and is in the process of seeking additional institutional accreditations. In addition, the institution enjoys programmatic accreditation for a number of its specialized programs. General Description of Position: The chief marketing officer directs and leads American National University’s marketing, communication, and public relations efforts to optimally position the University for brand recognition and success. The chief marketing officer proactively and strategically develops and implements comprehensive marketing and communications plans for the University, focusing particularly on marketing and communication strategies to recruit prospective student, retain current students, interacting with external agencies to foster and support an awareness of the institution throughout its operational areas. Oversee and direct the University’s marketing, communications, public relations, web, and social media presence both domestically and in international markets. Develop integrated communications and marketing plans designed to advance the University’s brand recognition, strategic positioning, and strength in its target markets. Identify, cultivate, research, and create strategies to strategically market to target audiences. Develop strategic, creative communication and marketing content in campaigns across diverse media channels to increase target audience participation in and support of key initiatives. Work collaboratively with all departments to create University policies, strategies, and plans regarding marketing, communications, and public relations matters. Qualifications : Masters Degree or more with a minimum of five years of upper level experience in marketing, communications, and public relations. Prior experience marketing for an institution of higher education preferred but not limiting. Demonstrated leadership and management skills with the ability to create and promote a positive work environment. Individual must have a proven record of accomplishment in developing and implementing strategies and developing initiatives across a wide range of media; must possess strong negotiation and facilitation skills. Experience in media relations, marketing, communications, and crisis management. Advanced knowledge of strategies and best practices for communications, including sophisticated and creative use of social media and other forms of communications. Ability to capitalize on emerging technologies to further organizational goals. Position Status: This position reports directly to the president of the University. Collaborative relationships and coordination with all departments is an ongoing requirement and responsibility. Application Procedure: Submit resume or curriculum vitae (not to exceed six pages-less is appropriate-additional information will be obtained when necessary) with brief letter directly to: President, American National University. Attention Jenny Adkins.